I wrote earlier today how Samsung Mobile's Chief Executive Officer, J. K. Shin, may be replaced by another executive from the white goods area of Samsung, B. K. Yoon. This doesn't appear to be the only change that Samsung are contemplating, including switching to metal-build handsets, releasing significantly fewer devices during the coming and now we are hearing, shutting down the ChatON service in certain (unprofitable) regions. Reports from Korea, citing Samsung executives, state that whilst ChatON has been well received in some areas, in others it has not fared so well. Samsung could cut the service from underperforming areas but may leave it going in the better performing regions. At this time, it isn't clear where ChatON has worked well and where it has struggled. The service is used across 120 countries but Samsung didn't disclose where it has been successful and where it has struggled. I guess we'll find out where soon enough, assuming this rumor is true, of course. 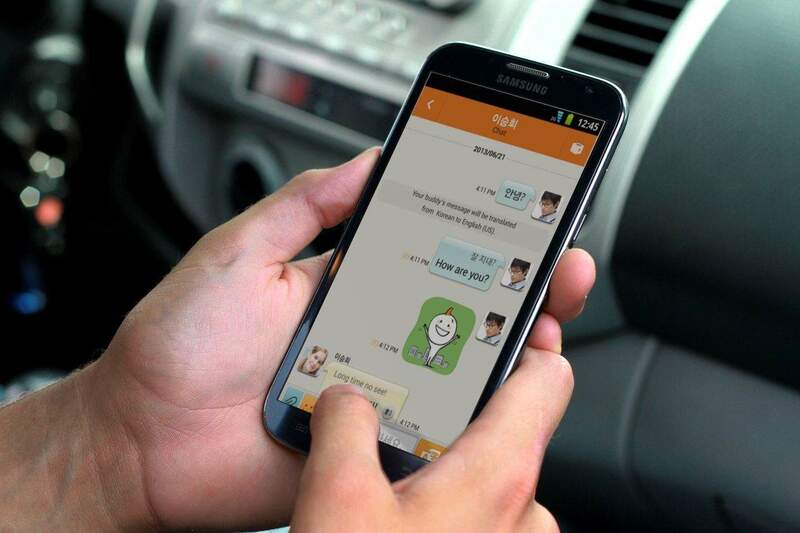 ChatON is Samsung's instant messaging client that was released in late 2011. I remember when the excited Samsung representative explained how it was an instant messaging application available across a number of different platforms, but how it was built-in to certain low-end Samsung feature phones. ChatON, as such, joins many, many competitor products including Google Hangouts, Facebook Messenger, Apple iMessage, WhatsApp... the list goes on. One of ChatON's standout features is how it integrates with the S Translator on those devices running it, such as the Galaxy S4. It allows a quick fire translation service in 1:1 chatrooms between many languages, while it also supports the integration of SMS, MMS and video calling, similar to the competitors. When ChatON was launched, I remember asking the question as to why customers would use ChatON rather than any other service. I was never able to come to a satisfying conclusion, there's nothing wrong with ChatON other than it hasn't received the same marketing spend as the Galaxy handsets. We've not seen "Samsung Galaxy S5 Mini With Samsung ChatON" billboards on the London Underground, nor have I seen ChatON as a highlighted product in the Google Play Store. As such, it's joined a large list of me-toos in the instant messaging marketplace. And whilst instant messaging is a market of great significance, (Facebook buying WhatsApp) a service without fantastic mindshare is going to struggle. BlackBerry Instant Messenger is one example (here's a case of too little, too late). However, what do our readers think? Do you use ChatON regularly? Are you hoping that your region keeps the service?